The final Guardians Trilogy novel from the #1 "New York Times" bestselling author of "Bay of Sighs" and "Stars of Fortune." As the hunt for the Star of Ice leads the six guardians to Ireland, Doyle, the immortal, must face his tragic past. Three centuries ago, he closed off his heart, yet his warrior spirit is still drawn to the wild. And there s no one more familiar with the wild than Riley and the wolf within her... An archaeologist, Riley is no stranger to the coast of Clare, but now she finds herself on unsure footing, targeted by the dark goddess who wants more than the stars, more than the blood of the guardians. 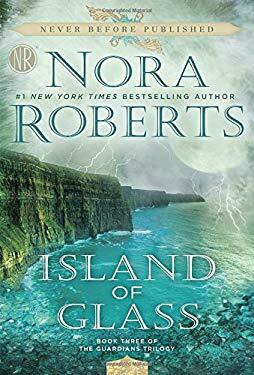 While searching through Irish history for clues that will lead them to the final star and the mysterious Island of Glass, Riley must fight her practical nature and admit her sudden attraction to Doyle is more than just a fling. For it is his strength that will sustain her and give her the power to run towards love and save them all... Don't miss the other books in the Guardians Trilogy"Stars of Fortune""Bay of Sighs""
Used Good (4 available) Former Library book. Shows some signs of wear, and may have some markings on the inside. 100% Money Back Guarantee. Shipped to over one million happy customers. Your purchase benefits world literacy! Used Good (31 available) Shows some signs of wear, and may have some markings on the inside. 100% Money Back Guarantee. Shipped to over one million happy customers. Your purchase benefits world literacy! Used Good (1 available) Shows some signs of wear, and may have some markings on the inside. 100% Money Back Guarantee. Your purchase also supports literacy charities. New (33 available) BRAND NEW. Over 1.5 million happy customers. 100% money-back guarantee. Make your purchase count: support Better World Books' worldwide literacy partners.